Introducing a breakthrough small group resource: The Best of Small Groups, Volume 1 brings together twelve of the best small group Bible study curriculums from today's most well-known Christian leaders, all on two DVDs. Sure to become a staple in any small group leaders arsenal for years to come. 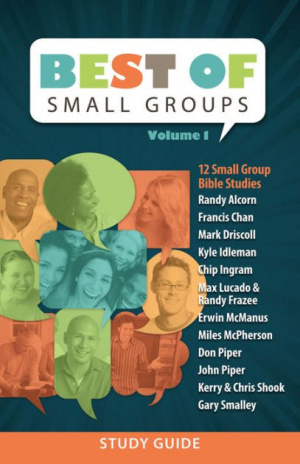 The Best of Small Groups Study Guide by Chip Ingram ; Francis Chan ; Kyle Idleman ; Mark Driscoll ; Max Lucado ; Randy Alcorn was published by Hendrickson in October 2012 and is our 10090th best seller. The ISBN for The Best of Small Groups Study Guide is 9781598568462. Be the first to review The Best of Small Groups Study Guide! Got a question? No problem! Just click here to ask us about The Best of Small Groups Study Guide.